Some people always nurse a fond affection for wherever they grew up. Even after moving to other towns and cities - and countries - to better their lives in some way, they end up returning to their childhood locality and going back to their roots. But probably most people are glad to have escaped their old patch, which they found stultifying and restricting and thwarting their full potential in life. Personally I have no nostalgia for the sleepy suburb I was brought up in. I was only too happy to spread my wings and move somewhere more exciting. I spent my first 13 years in a typically boring London suburb called Harrow. 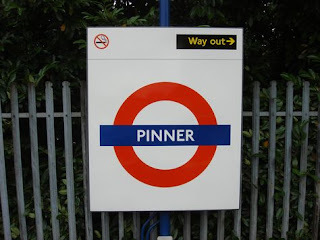 For nine years after that I lived in Pinner, just north of Harrow. Nothing of any interest happened in either place, unless you count the annual Pinner Fair, which took over the main street for a day, or the odd drug-taking scandal at Harrow School. When I was offered a journalistic job in London at 22, I seized it and moved to the big bad city, which proved a huge shock after my previously sheltered existence. Rough sleepers, squats, druggies, flamboyant homosexuals, militant feminists, sexual orgies, outrageous art, wild rock concerts. It was quite an eye-opener for this naive suburbanite. I stayed in London for another 31 years, by which time I was thoroughly steeped in its general craziness and creativity, and going back to the suburbs would have meant being a dolphin trapped in a fish tank. 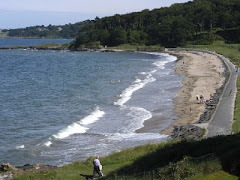 Then I moved to Belfast, even farther from my original home, and discovered the different blend of craziness and creativity that prevails in Northern Ireland. And after 18 years in this extraordinary city, I have even less desire to return to a soporific English suburb. I shall be very happy if I never see Pinner again, ever. Or its dull, sedate streets. I enjoy the memories of where I used to live . . . stores I went to every week with my mom, places I rode bikes with friends, high school hangouts, etc. Unfortunately, towns change and evolve and most of those places are long gone. Now, I would only be able to drive through there and say, "That's where such and such used to be." What came to mind when I read your post Nick was "no matter where I go there I am". We make our own joy, dont we? Bijoux: That's a sad loss when you have so many happy memories of those places. www: Hopefully, yes we do. Which is why I'm now in Belfast and not Pinner. I get a lot more joy from the buzz of a big city! I suppose one good thing about moving often in childhood is you don't get attached to a singular place. I have happy memories more of the geographic features of places we lived. Virginia and the valley of the Blue Ridge mountains. it was so visually beautiful. and the stunning Colorado Rockies. 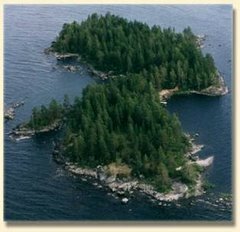 and the Thousand Islands of Upstate New York were just a few. I have fond memories of all of them. but as to towns? no connection really to any. but like you... I don't think I would enjoy a tiny town now. I like the convenience and energy of a bigger place! Tammy: That's a good point about being on the move. I've been to the Canadian Rockies but not the Colorado ones. There are several cities I feel very at home in - Sydney, Vancouver, Chicago, Melbourne. I need somewhere big and effervescent around me! I think you might be missing WWW's point. My question - is it possible to enjoy a place for its excitement without needing to disparage sleepier, more peaceful places? I've lived on a farm, in small towns, on a Naval base, in a tiny village and in a bigger city. And I loved them all, for different reasons. It's fine to decide you prefer a particular environment, but if you see other people's homes as "stultifying," the problem probably isn't that place. Agent: A very gentle rebuke but one I deserved! No, I shouldn't be so disparaging about where other people live. If they're happy there, who am I to suggest it's dead end gulch? As you say, if I found the suburbs stultifying, maybe that points to a deficiency in me. And to be clear, I'm not saying you SHOULD enjoy suburban life, necessarily. Not everyone does, just as not everyone loves the more frenetic pace of a city. Just to consider how you view the choice to live in a suburb, or anywhere else, as if it represents some sort of character flaw. Agent: I don't think my wording was very clear (or nuanced enough). I didn't mean to imply that anyone who enjoyed living in the suburbs had a character flaw, only that it's not for me. A number of my blogmates and FB friends live in suburbs or way out in the country, and they're obviously happy with their choice. As you know, I love our sleepy little town, and Andy loves being up on our land in the mountains even more. As usual, one size doesn't fit all. And one of the joys of blogging is to share and enjoy our differences. Jean: Yes, you two seem to be quite content with your location. I agree, one size doesn't fit all, and where one person is thoroughly at home someone else has the screaming heebie-jeebies. I don’t have a fond affection for where I lived - Peterborough, I liked living there at the time and I have happy memories of growing up there. A long time ago my mother wanted to go back, to re-visit places she knew, see our old house. It wasn’t a good idea though, it had changed so much from the tidy market town with lovely old buildings to the boring run-of-the-mill pedestrianised high street. We both felt very sad. Leo's family moved from Wales to Harrow...and he said it was like changing from a donkey cart to a sports car in terms of the change in their lives. Reading your post makes me wonder just what that Welsh village was like! Polly: It's disheartening going back to somewhere you have a rosy image of, only to find it's changed beyond all recognition - and changed for the worse. I suspect that would be true of a lot of my old childhood haunts. Helen: I guess if you came to Harrow from somewhere pretty isolated, it might seem quite racy! As you say, what on earth was life like in that Welsh village? Kylie: Indeed, it all depends on what bores you and what interests you. Lots of people are happy as Larry living in the suburbs. I have no problem with that. We all have to find the sort of place we feel most comfortable in. something to think about and recall memories..thankyou for the prompt. gz: Some of my memories go back so far I suspect they've become rather inaccurate by now. Probably more rose-tinted than the reality ever was! In India, sleepy suburbs soon become hot spots and upmarket. The urban growth is simply mind boggling. When we moved into our then new home in 1990, the suburb that we moved to was sleepy and it was difficult to commute without your own vehicle. Today, it is a bustling mini metropolis by itself and one can live here comfortably without ever having to leave it. Every facility imaginable is available within it. There was a brief window of time when I contemplated moving out to a rural setting to a farm house but sudden deterioration of my late wife's health put paid to that plan. I am now well ensconced in this area and flatter myself that I am an institution as old as it is too! Ramana: This often happens - tiny suburbs grow and grow to become a centre in their own right. Indeed, if you have "every facility imaginable", then why would you move somewhere else? And why did you fancy a farmhouse? Are there farmers in your family? Yes Nick, I come from a farming background. It was not so much as farm as to get away from the city and be among nature that prompted that decision. Ramana: I thought there must be a farming connection. Personally I wouldn't fancy living in the countryside proper. I wouldn't like to be cut off in thick snow in the winter. I wouldn't like to be many miles from a hospital. And I suspect I'd feel very isolated.